Turkey helped deliver weapons to rebel-controlled Syrian territories, according to testimony from prosecutors and gendarmerie officers, Reuters says. It contradicts Ankara's denials that it sent arms to rebels and thereby contributed to the rise of ISIS. Testimony from gendarmerie officers, seen by the agency, allege that rocket parts, ammunition, and semi-finished mortar shells were carried in trucks accompanied by the country's state intelligence agency (MIT) to parts of Syria under Islamist control. This occurred more than a year ago, according to the testimony. Meanwhile, testimony from prosecutors backed up the story of Ankara sending weapons across the border. The prosecutors said that four trucks were searched in the southern province of Adana in raids by police and gendarmerie – one in November 2013 and three others in January 2014 – on the orders of prosecutors acting on tip-offs that they were carrying weapons. While the first truck was seized, the three others were allowed to continue their journey after MIT officials accompanying the cargo threatened police and resisted the search, according to the testimonies and the prosecutor's report. "Our investigation has shown that some state officials have helped these people deliver the shipments," prosecutor Ozcan Sisman, who ordered the search of the first truck on Nov. 7, 2013, after a tip-off that it was carrying weapons illegally, told Reuters earlier this month. But according to President Tayyip Erdogan, the three trucks – which were stopped on January 19 – belonged to MIT and were only carrying aid. He added that the prosecutors had no right to search the vehicles, and accused them of being part of what he calls a “parallel state” run by his political enemies who are determined to discredit the government. Sisman and Takci, another prosecutor, have been detained and face provisional charges of carrying out an illegal search. "I did not want to prevent its passage if it belonged to MIT and carried aid but we had a tip-off saying this truck was carrying weapons. We were obliged to investigate," Sisman said of the January 1 search. He added that it was prompted from a tip-off from police. The request for Sisman's arrest, also seen by Reuters, accuses him of revealing state secrets and harming the government's reputation by portraying it as aiding terrorist groups. More than 30 gendarmerie officers involved in the January 1 attempted search and the events of January 19 also face charges – including military espionage and attempting to overthrow the government – according to an April 2015 Istanbul court document. Witness testimony seen by Reuters from a gendarme involved in a Jan. 1, 2014 attempt to search another truck said MIT officials had talked about weapons shipments to Syrian rebels from depots on the border. Meanwhile, a court ruling calling for the arrest of three people in connection with the truck stopped in November 2013 said it was loaded with metal pipes manufactured in the Turkish city of Konya which were identified as semi-finished parts of mortars. It comes as Syria and some of Turkey's Western allies accuse Ankara of letting fighters and arms over the border, in its haste to see Syrian President Bashar Assad toppled. 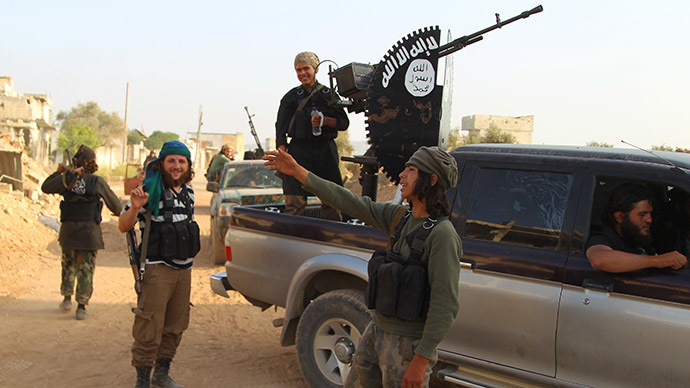 They say that some of those fighters joined the Islamic State (IS, formerly ISIS/ISIL). However, Turkey has denied arming Syrian rebels or assisting hardline Islamists. According to diplomats and Turkish officials, the country has imposed tighter controls on its borders in recent months. "I want to reiterate our official line here, which has been stated over and over again ever since this crisis started by our prime minister, president and foreign minister, that Turkey has never sent weapons to any group in Syria," Erdogan's spokesman Ibrahim Kalin said Wednesday.